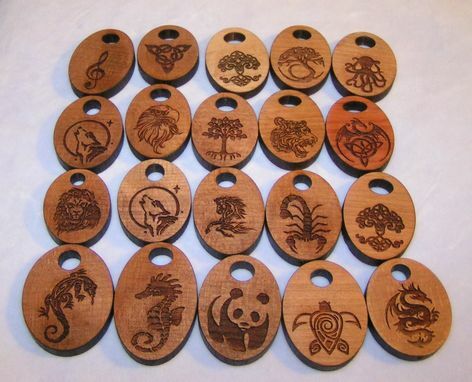 Laser etched & cut out hardwood pendants in various designs. I was pretty happy with how the pendant came out on two sides and of course she loved it! She said your work was amazing. Thank you very much for your time and work! Yes, I highly recommend you again!